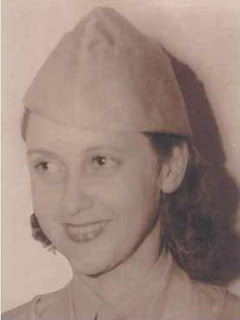 During World War II, Betty worked for the Office of Strategic Services (OSS), the predecessor of today’s CIA, lying in the line of duty. Born in Washington DC, the daughter of a sportswriter, she attended Journalism school, then worked as a reporter for several newspapers. Based in Hawaii, she covered the attack on Pearl Harbor first-hand before returning to work in the Scripps Howard bureau in Washington D.C. It was there, while she was covering Eleanor Roosevelt, the then-first lady, that her supervisors asked her to write a story on a man named Atherton Richards. No one ever used the word “spying,” but the intent was there and so was Betty’s interest. She only had one condition, that her job provide her an opportunity to work overseas. Donovan promised. Betty ended up one of a few women assigned to OSS Morale Operations (MO), an organization that used the art of spycraft to outwit the Nazis and Japanese army. Fluent in Japanese, Betty was assigned to the Far East division tasked with creating “black propaganda,” rumors that our foreign adversaries would believe. She and her colleagues were taught how to create and disseminate a mixture of truth and fiction using basic tradecraft, the same skills taught to intelligence officers today. The Far East division was made up primarily of media personnel—newspaper men, radio people, artists, cartoonists and writers. Needed for quick production, her team also included artists from China, as well as several captured Japanese soldiers. Stationed in India,their job was to create and disseminate information that would undermine Japanese troops. Already demoralized and retreating, the Japanese soldiers believed, if they surrendered, they would lose their birth right and not be able to return to Japan. Few Japanese would surrender. To countermand this belief, Betty and her colleagues forged an order permitting Japanese troops to surrender under certain circumstances. To pull it off, Betty enlisted the help of a Burmese OSS agent to kill a Japanese courier traveling through the jungle and plant the forged document in his backpack. When the Japanese retrieved the body of their agent, they found the order and deemed it real. Another time, she delivered what appeared to be an ordinary lump of coal to a Chinese operative of the OSS near a train station in Kunming. It turned out to be packed with dynamite. 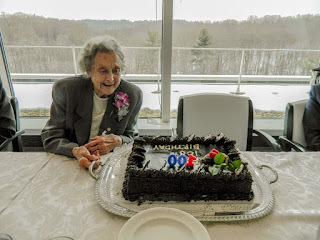 Betty later told The Washington Post that the Chinese OSS agent took it aboard the train full of Japanese soldiers, waited for the train to cross a bridge over a lake, threw the coal into the engine and jumped out before the train exploded. Sometime later, ala Korea’s Seoul City Sue, Betty accompanied future famous chef Julia Child into China, where they worked in a “black radio station,” writing scripts meant to confuse Japanese listeners. At times the fictional scenarios weren’t far off the mark. Wanting to rattle the Chinese and Japanese, Betty created a script for the station’s resident fortune-teller to read on air predicting a catastrophic event. “We have checked with the stars and there is something we can’t even mention because it is so dreadful, and it is going to eradicate on whole area of Japan.” That day we dropped the bomb on Hiroshima. At the war’s end, the OSS disbanded, and Betty returned to the US. For a while she worked for a fashion magazine in NYC, but she found the job boring. After she married, she moved back to DC and wrote a memoir entitled, Undercover Girl, and two children’s books. It wasn’t until 1959, after the death of her husband, that Betty talked the CIA into giving her a job. What exactly she did for the agency remains a mystery. We know her job was similar to what she did for the OSS, but Betty knew how to keep a secret. She had signed a pledge not to reveal her work, and she kept that promise to the day she died. My question to you, dear reader, are immoral actions ever okay? What an interesting post about an obviously talented and brave woman! You ask if any of her actions were "immoral" or if they were OK. Conjuring up "fake news" (as we call it today) to mislead our enemies shouldn't be termed immoral....it's been done throughout history as part of clever spy-craft operations. (And we see examples of that coming from Putin's Russia, don't we?) Thanks for the great history lesson, Chris. Thanks for commenting. I tend to agree with you. Whether it's good or bad sort of depends on whose side you're on.